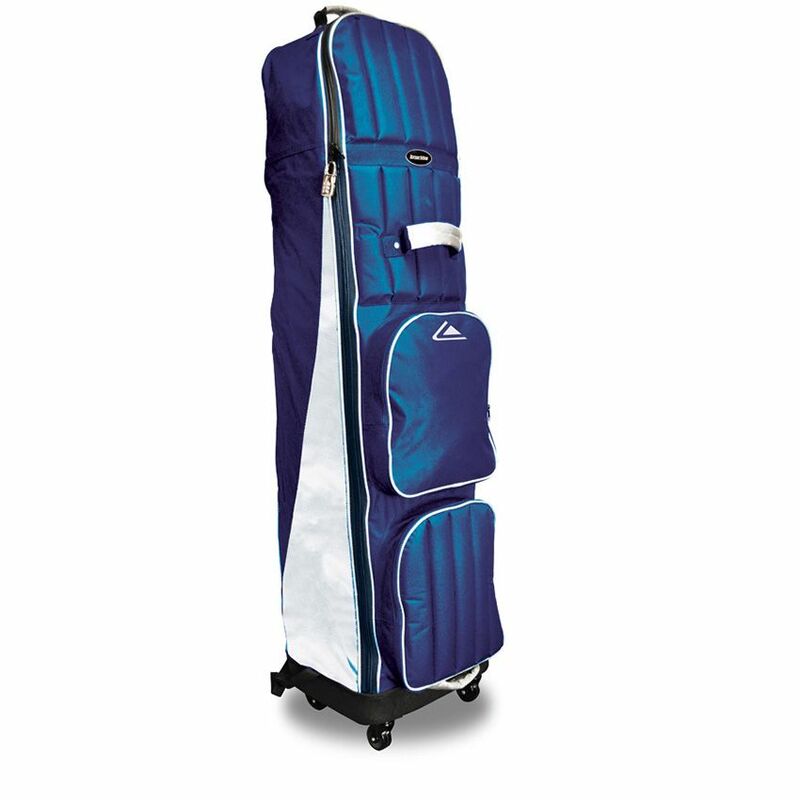 This Longridge 4 wheel compact travel cover protects golf bag and clubs during travel and fits almost all golf bags. It has four inline skate wheels, a multi-point handle and a shoulder strap to give maximum comfort and convenience when travelling and includes a padlock with key code for extra security. The cover has 2 front pockets for storing additional accessories and has an extra padded top for ultimate club head protection. It can be folded into a compact carry case for easy storage when not in use.This is a most affordable quaity golf travel cover and it will store away neatly when not in use.